“Afterschool at the Y is an opportunity for families to ensure their kids are receiving additional support, continued learning and a chance to participate in meaningful activities.."
A new school year is filled with potential—a chance to start new routines and habits, build new friendships, and discover new possibilities and interests. It’s an exciting time for many kids, however—at the end of the school day, 1 in 5 children kids do not have someone to care for them after school, according to Afterschool Alliance, a nonprofit public awareness organization. As families are transitioning from summer to fall, the YMCA of Frederick County is offering programs to school-aged children throughout Frederick County to keep youth active, busy and engaged during out-of-school time. Through a well-rounded approach to youth development, the Y’s programs offer activities in a caring and safe environment during the critical hours after school. Whether through sports, mentorship, or academic support, the Y nurture the potential of youth throughout the school year. The Y is a leading nonprofit committed to nurturing the potential of every child and teen, supporting their social-emotional, cognitive and physical development from birth to career. In the YMCA of Frederick County’s afterschool program youth receive a nutritious snack and homework support. The children can explore arts & humanities, character development, health and wellness, STEM, service learning and literacy activities. Financial assistance is available to those in need, to ensure every child and teen has the opportunity to learn and grow at the Y. 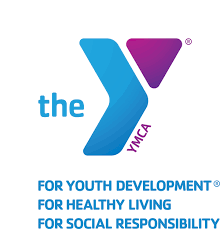 For more information about the YMCA of Frederick County’s Before & Afterschool Enrichment program, please contact Diana Lewis, Director of the Before & After School Enrichment Program, at 301-663-5131 or DLewis(at)frederickymca.org or visit frederickymca.org/base. The Y is one of the nation’s leading nonprofits strengthening communities through youth development, healthy living and social responsibility. Across the U.S., 2,700 Y’s engage 21 million men, women and children – regardless of age, income or background – to nurture the potential of children and teens, improve the nation’s health and well-being, and provide opportunities to give back and support neighbors. Anchored in more than 10,000 communities, the Y has the long-standing relationships and physical presence not just to promise, but also to deliver, lasting personal and social change.